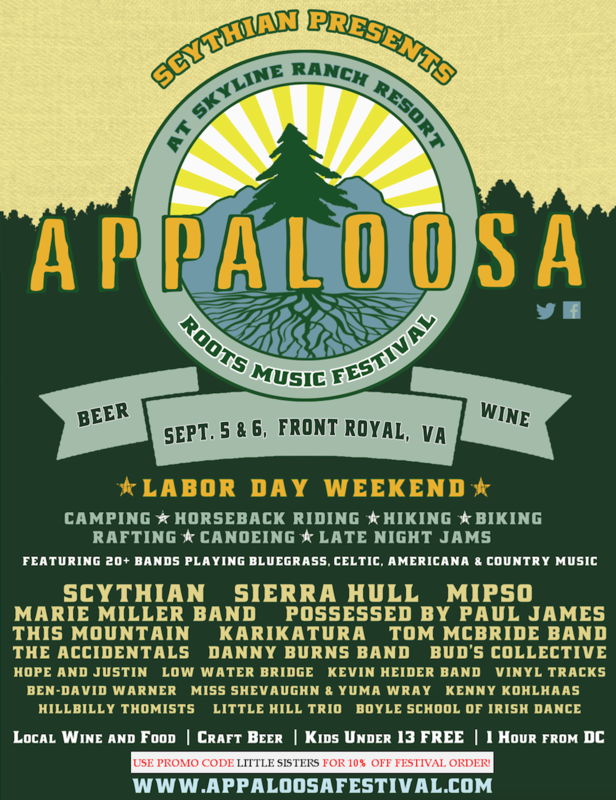 The Appaloosa Festival is a two day roots music and camping festival on Labor Day weekend set on a farm in the Shenandoah Valley, one hour west of Washington, DC. It is hosted by the DC-based Celtic folk-rock band Scythian, who has performed in several fundraisers for the Little Sisters of the Poor in Philadelphia. The festival features 25+ bands on three stages, with plenty of family-friendly music and activities. The festival venue lies in the heart of the Shenandoah Valley Wine Trail, and offers plenty of opportunities to enjoy the great outdoors, being just minutes from Shenandoah National Park and George Washington National Forest. 5% of all proceeds from the festival benefit the Washington DC Little Sisters of the Poor! CLICK HERE TO PURCHASE TICKETS. Use promo code Little Sisters for 10% off Festival Order.